DePuy ASR hip implant patients in most states who do not file lawsuits before August 23, 2012 may lose their rights to compensation or to file a lawsuit. Every state has a law called the statute of limitations that sets a limited time period in which a lawsuit for compensation can be filed. If a person with a legal claim or legal case fails to have a lawsuit filed on their behalf within this time period their claim can be forever barred. In summary, people who do not assert their rights in court within a limited time lose those rights and can never thereafter bring that claim. Why is the Statute of Limitations for Most ASR Hip Implant Patients This August? Every state has its own time limit for filing lawsuits called the Statute of Limitations. DePuy and Johnson and Johnson, the manufacturers of the ASR Hip Implant, have a right to have lawsuits dismissed or decided in their favor regardless of the injuries if the lawsuit is not filed in time to comply with the statute of limitations. Most states in the United States use a two year time period for the statute of limitations. Other states may have a 1 year up to a six year time period for the statute of limitations. Different states use different rules to calculate when these time periods start running and when it is too late to bring a lawsuit. These calculations can be difficult to make and there have been many lawsuits over the running of the statutes of limitations in different types of cases. Each person’s case should be carefully evaluated individually by an experienced lawyer because individual circumstances can affect calculating this time period. This blog is for general information and awareness and you should not use this information to make your own calculation to rely on for your case for the statutes of limitations. This two year statute of limitations will run for many DePuy ASR hip implant cases because the official DePuy Recall Notice that received widespread publicity was issued on August 24, 2010. The two year period from that Recall Notice will expire on August 23, 2012. Thus, lawsuits for injured ASR patients must be filed in those states with a two year statute of limitations or it may be too late for those patients to make a claim. Arizona, Alabama, Alaska, California, Colorado, Connecticut, Delaware, Georgia, Hawaii, Idaho, Illinois, Indiana, Iowa, Kansas, North Dakota, New Jersey, Ohio, Oklahoma, Oregon, Pennsylvania, Texas, Utah, Virginia, and West Virginia are the states with a two year statute of limitations for injury cases. However, the calculations used to measure the two year time periods are different in different states and it is important to have each case calculated by an experience attorney to be sure that the time period does not run out before the lawsuit is filed. For example, the two year statute of limitations in Virginia is unusual in that the two year time period in that state runs from when the person first has pain or is aware of an injury even if that was before the recall of before they had any idea that DePuy might be responsible. So in Virginia it is likely that the statute of limitations may have already run on some cases where the person had pain from their hip implant before the recall date. It is possible that someone reading this blog could have a statute of limitations that will run tomorrow or next week! Immediate individual legal advice is critical to making sure that the Statute of Limitation is not missed. There are many states other than those listed above that have a statute of limitations of two years from the date of death if the implant caused a death. Some states have longer statutes of limitations for injury cases than for death cases. There are few exceptions to the Statute of Limitations. One of the clearest is the Sailors and Soldiers Relief Act which can toll the statute of limitations for some active members of the military while they are in the service of our country. Tolling of the Statute of Limitations means that the time period is stopped from running. That means that some active military people could wait many years before having to file their cases. Our firm has had other types of cases where the statute of limitations has been tolled for decades while a military person is in active service. Many states have what is called a “Discovery Rule” which means that the Statute of Limitations does not start until a person would reasonably know that they might have a liability claim. 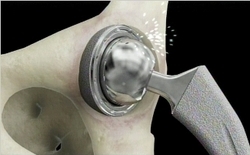 I believe many judges would rule that the widespread public dissemination of the DePuy Recall Notice of August 24, 2010 would start the clock running on the statute of limitations even if an individual person did not hear about it or know about it because the test is usually an objective test about what a reasonably informed person would know. There is another highly complex legal rule called the “American Pipe Rule” that may be applied in some states if a class action is pending to toll the time period for an individual lawsuit for a person who would be a member of that class action. This theory should not be relied on for DePuy ASR cases because there is no viable class action that I know of. The ASR cases are coordinated for pretrial purposes in a federal multidistrict proceeding called an MDL but this is not a class action and will not toll or stop the statute of limitations from running in an individual case unless an individual case is filed for that person. Mental incompetence can be an exception in some states that could extend the statute of limitations. For example, someone with severe Alzheimers disease might qualify in some states for an extension to the statute of limitations. Every person with a DePuy ASR Hip Implant should have a detailed review of the statute of limitations done by an attorney experienced in medical product liability cases. This review should be done immediately because once the statute of limitations has run there is no way to reopen or restart it. Once the statute of limitations has run it is too late to ever bring a lawsuit for harms and injuries from the defective ASR metal on metal hip implants. Do Not Rely on this blog as a substitute for an individual legal review of your individual case facts. This blog is to increase general knowledge and awareness of these issues and not to give any legal opinion on any individual case. I am happy to give individual case opinions at no charge if I can review the specific facts of your case and compare them to the laws of the statute of limitations applicable to your specific case. If you have retained a lawyer to represent you then you should contact that lawyer for an opinion on the statute of limitations. Every person who has not already filed a lawsuit should obtain a legal opinion on the statute of limitations from me or any other experienced medical device product liability attorney as soon as possible to protect their legal rights .